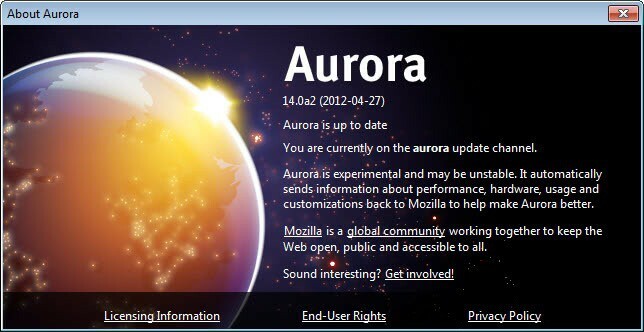 We have previously discussed a few of the features that Mozilla planed to integrate into Firefox 14. Among them the built-in PDF reader pdf.js, and the new click to play plugin feature to block plugins from being loaded automatically on websites. One of the changes in Firefox 14 is the switch from using Google's regular http web search service to the company's https service. This basically means that Firefox 14 will use SSL search by default in all locations where users can search. This includes the browser's address bar, the search form that can be displayed in one of the browser toolbars, and the search on the new about:home page. A switch to secure search is however not the only change in Firefox 14. 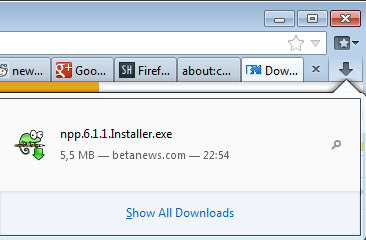 The browser features the new panel based downloader which replaces the old download manager window of the browser. You can check out the article Firefox's new download interface which offers details on the new interface, and options to revert back to the old download manager if that is preferred. If things go Mozilla's way, the inline url autocomplete feature will finally be implemented into Firefox 14. Originally intended for Firefox 12, then postponed to Firefox 13, and now Firefox 14, the new feature aims to make the browser feel "a lot faster" by auto-completing urls when the user starts typing in the address field of the browser. Mozilla recently announced that the company would launch a Marketplace for apps soon, with Firefox supporting the installation and management of those applications. It is not clear if the web apps integration will make it into Firefox 14, or if the open issues will prevent the release in that version of the Internet browser. Firefox 14.0 may also get a new hang detector and reporter, that aids Mozilla in the analysis and fixing of browser hangs, the silent update feature that we discussed earlier, and improvements to the cycle collector which should also improve the responsiveness. and I must click forward to see it . Has it happen to anyone else ? This is not happening on my end in those browsers. Have you tried disabling add-ons that may interfere? so far I disabled Tab history + Tab scope , = to no avail . In today’s Waterfox 12 (as in Fx 12 or Chromium, Opera ) no problems. Why do you need so much add-ons in Firefox ? The more add-ons, the slower a browser will become. Then there is also a security issue with such a big quantity of add-ons. How do you change the default search engine BACK to Google? I would like to use that search engine rather than the new default one. Or is that no longer an option?